Just this past week I have been getting windows 10 crashes, either at launch or just entering World of Warcraft. I have over 20 tickets with gm's of the game and they have now told me that they have exhausted all their efforts in attempts to help. I hope I attached the correct file. I used the exe to provide a report. I am in the hands of you all. Please assist. things I have already done. p.s. I am not sure if the irq 17 in my msfinfo is a bad thing that two audio pieces are there. I looked there after finding the jraid information online, but I don't know enough about the issue to know if it is a legit issue. Last edited by sidesswipe; 01 Jan 2016 at 01:57. Remove every software from IObit, it is known for causing bluescreens. If you have installed any driver with Driver Booster 3 and Driver Fusion, please remove them as it may cause trouble. Remove every bypass/crack present on your system before any help may be given. I have been getting really frustrated with all the different things I have done and what the Blizzard team had me do multiple times that after I posted it, I restored my computer. I did not go back to WIN 7 but just did a complete restore. Upon startup, I launched a workout video and it happened right away. I did not even install WOW yet. I almost took my tower to the highway and let a transport take it out. 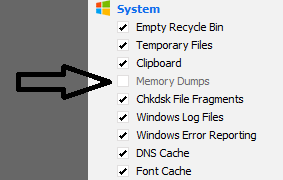 I checked my minidump after it happened and nothing was there even though I have it set. If you watch the video, I am not sure my computer has a chance to store anything as you can see it often does not blue screen but shows random colors pattern, either white, blue or black . only the once I was able to get a blue screen with the mentioned driver irql with the jraid.sys message. If there is something I can do to help you help me, please let me know. I have done what you have asked. I now have to run in safemode to keep it running. It almost feels like my video card is quitting on me, but it is only a year old. I still cannot get a dump file though. I guess I don't understand. I have the option on in the settings. There are many files missing including dumps, is it created in safe mode?